A particularly sinister aspect of drug addiction is relapse. To the ex-addict, environmental cues, life stressors and even the drug itself serve as the sirens’ call, beckoning them back into the deadly realm of abuse. Currently, doctors battle heroin temptations with psychotherapy and replacement opioid drugs, such as methadone. While effective, these treatments rely heavily on the user’s cooperation and require continuous, uninterrupted access to medical personnel. What if, instead of using drugs to counteract relapse, we train the body to recognize and attack heroin before it reaches the brain? One way to do this is to design a vaccine against heroin. Like vaccines against measles or influenza, a heroin vaccine trains the body’s immune system to produce antibodies that recognize and neutralize heroin molecules in the bloodstream. Although seemingly straightforward conceptually, in practice it’s far more difficult, partly because heroin is broken down rapidly into psychoactive metabolites (6-AM and morphine) within seconds of entering the body. Researchers now think they might have overcome this problem by designing a dynamic vaccine that targets both heroin and its metabolites. And it does seem to work. Vaccinated rats, when given heroin, had more of the molecule and its breakdown products sequestered in the bloodstream. This means less is getting into the brain to do its evil deeds. Vaccination dampened heroin’s painkilling effect, to the point that ~6times more heroin was required to produce a similar pain response in vaccinated rats as compared to unvaccinated ones. But did it curb addiction? In the first test, researchers first vaccinated the rats, and then injected them with heroin in a chamber (let’s call it A, see below) for 4 days. Like humans, rats associate pleasurable drug high with the place they were given the drug. When given the choice of two chambers (A and B), heroin-addicted rats will spend more time in A. This was indeed the case for unvaccinated rats. However, vaccinated ones didn’t care for the drug chamber, spending a similar amount of time in A and B. So it looks like vaccination before heroin addiction can block drug-seeking behaviors. When given heroin in A, rats like A over B. So what about relapse? Rats were trained to press a lever for heroin. Every time they got a hit a light would come on, causing them to associated light with high. Some rats were then vaccinated, and all were sent to rat rehab (extinction training), where pressing a lever didn’t give them any drug. By the end of extinction training rats refused to work hard for heroin. Researchers then challenged the rat with several drug-seeking cues (including a dose of heroin, a chemical stressor, and the light cue) to see if this would cause them to crave heroin again. Indeed, unvaccinated rats started furiously pressing for heroin after any of the cues. Vaccinated rats, however, weren’t motivated to press for more when heroin was the cue. Unfortunately, vaccination didn’t protect rats from either the stressor or the light cue – they relapsed just like their unvaccinated peers. Unfazed, the researchers then tested the rats on a powerful model of compulsive heroin self-administration (see below). Rats were given free access to as much heroin as they wanted for 12hour periods over several weeks. Their dose soon skyrocketed to levels that would’ve killed naïve rats, and started developing symptoms of physical addiction (compare "baseline" and "escalated" in the graph below). They were then forced to go cold turkey for 30 days, during which a subgroup was given the vaccine. Once the abstinent period was over, non-vaccinated rats quickly went back to their old ways, “catching up on missed time” by escalating their heroin dose even further than before (both KLH cues and no cues group). Although vaccinated rats also went back to pressing for heroin, their dose remained steady (Her-KLH cues group). This continued lever-pressing behavior might be due to the light cue – when rats were trained without the light cue, vaccination abolished lever pressing after abstinence (Her-KLH no cues group). When researchers went on to see how much these rats were willing to work for their heroin (requiring more lever presses to get a hit), vaccinated rats were far less willing to work for their drugs compared to unvaccinated ones. This shows that vaccination drastically decreased the addict’s drive for heroin. 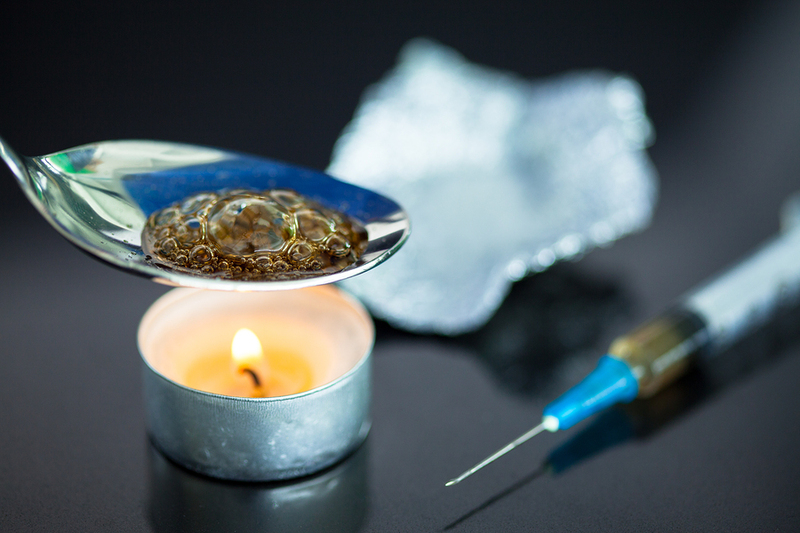 So is this the end of heroin addiction? Unfortunately, no. The vaccine can only eliminate heroin from the user’s bloodstream, which blocks the “high”. That’s all it does (but it’s no small feat!). If the addict increases his or her dosage, the vaccine’s effects might be overcome. It also doesn’t block cue-associated relapse, when on the streets, cues are a major trigger for drug craving and seeking. It also doesn’t stop a heroin addict from switching to another drug-of-choice, sidestepping the vaccine’s effects. However, the data presented here shows that by itself, this heroin vaccine can break the cycle of addicts taking more and more of the drug, especially after relapse. It also lasts longer than Naltrexone (anti-heroin antibodies stay around for at least 52 days after one injection), which also blocks heroin’s actions. The vaccine can also be used in tandem with already available treatments, such as therapy, methadone and naltrexone. In the end, a heroin vaccine is not a “magic bullet” to block all aspects of addiction. It’s like the rope that tied Odysseus to the ship mast - only one of the many aspects that kept him at bay from the siren’s calls. However, if the vaccine (or its upgrades) passes through human trials, it could be a promising and innovative tool against heroin relapse.